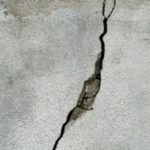 A lot of people have cracks in their concrete slabs, but how do you know when that little slab crack repair or wall crack repair or floor crack repair is actually pointing to a bigger problem? If you notice a crack that goes the length of the slab you could definitely be in danger of bigger foundation crack problems, however, if you see any crack in your slab it is good to check with professionals to make sure that you don’t need repair. Helical brackets are a great solution for this problem. They lift the slab back to its original position and provide continued support after installation. They are installed on top of helical anchors to add structural strength. They can either be mechanically or hydraulically lifted to help settling slabs move back into place. We use helical Slab Brackets from Earth Contact Products. You can rest assured because these are the very best products for foundation repair in the industry and we are a preferred installer for their products. This solution is an economical one for you as a homeowner. You could use a jackhammer to remove the slab and fill any voids below it, but with these helical slab brackets, we can be installed without all this hassle into floating or poured on grade slabs. 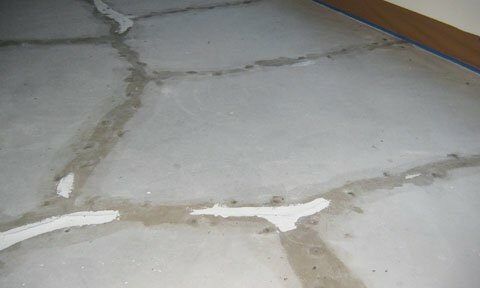 If you need a concrete slab crack repair in Virginia or Northern Virginia, we offer wall crack repair, concrete repair and slab crack repair or floor crack repair for your specific needs. We do concrete resurfacing, concrete replacement, and concrete patching. Once you have had your concrete slab lifted for your Virginia home, you can count on us to make sure that your slab cracks are repaired with our concrete repair services. So, for complete slab repair solutions from leveling and lifting to slab crack repair or floor crack repair –or even wall crack repair–make sure to count on the slab repair professionals at Reliable Waterproofing and Masonry to fix your foundation cracks and leveling problems. We also do repairs for bricks, including brick re-pointing. We are full service when it comes to brick, masonry, or concrete repairs including your slab and slab cracks. We make it our priority to give you a safe home to live in for years to come. Call us today!